Sometimes the sheer scale of London can be overwhelming, not to mention the bewildering choice of entertainment. But don't fear, help is at hand. Whether it's the stage, screen or canvas that captures your attention, you can expect to be thoroughly entertained with our guide to the best of the best entertainment venues from the greatest city in the world. The Southbank Centre is a classic example of brutal 60's concrete architecture. Everyone has an opinion (usually negative) on its distinctive design - famous detractors include Prince Charles, who once described it as a 'monstrous carbuncle'. Yet, if the West End is the centre of popular culture in London, it is the South Bank Centre that is the centre of true excellence in the arts. Comprising the Royal Festival Hall, the Hayward Gallery, the Queen Elizabeth Hall, the Saison Poetry Library and the Purcell Room, the complex is the largest single-run arts centre in the world and consistently produces plays, classical and world music events and fine art exhibitions of high renown. Primarily a classical music venue, it is home to the London Philharmonic Orchestra and three resident associate ensembles. The Southbank programme also includes the London Jazz Festival, widely acknowledged for annually delivering world-class music to the capital, whilst the Hayward Gallery continues to host imaginative and influential exhibitions since its opening by Her Majesty The Queen in 1968. A happy architectural accident has also made this complex the best spot for skateboarding and BMXing in the capital, meaning it is loved by London's counter-culture as much as by its highbrow elite. In recent years, the building of Tate Modern and the London Eye adjacent to the centre has been the final step in making the South Bank of the Thames into the beating heart of a thousand years of British culture. Described by the Queen as 'one of the wonders of the modern world', the Barbican Centre has also been voted 'London's ugliest building'. Ugly or not, this multi-faceted performance and arts venue is truly wondrous. Open 363 days a year, it offers the most diverse program of any London venue. As well as being home to the London Symphony Orchestra, the centre's giant 1,949 seat Barbican Hall attracts a host of international classical, jazz, rock, and world music stars. Two theatres offer a year-round program of some of the finest in international performing arts, while the 286 seat curve cinema mixes mainstream films with specialist seasons. The Barbican Art Gallery and The Curve Gallery present a diverse mix of design, architecture, fashion and photography from internationally acclaimed artists. The sprawling space also includes several smaller exhibition spaces, a Lakeside Terrace, a roof-top conservatory and three restaurants and a host of talks, signings, and events for children and live music in the foyer are also on offer. The building itself is a labyrinth and finding your route from the station or car park is an adventure in itself. Staircases twist around each other, directing lost patrons into mysteriously empty mezzanines, where odd snatches of music are the only guide back to the main lobby. The joy of coming across exhibitions, live music, or talks from a major arts celebrity in some odd corner of the building is a unique feature of this remarkable concentration of artistic talent. Home of the Royal Ballet and The Royal Opera, this impressive building in the heart of Covent Garden has been playing host to every major star of the classical music world since 1858. The third theatre to be located on this site, most of the existing venue - with the exception of the auditorium, facade and foyer which are originals from 1858 - is the result of a detailed reconstruction in the 1990s. It claims to be the most modern theatre facility in Europe, and it is certainly among the most spectacular. If you're serious about ballet and opera then this is the place to come for some of the best in the world. If you're not, and just want to explore the building itself (we recommend the dramatic glass atrium, a magnificently restored former flower market that now functions as a fine dining restaurant and champagne bar), you can wander around for free during the day. An esteemed, iconic and architecturally stunning venue. The centrepiece of the redeveloped Millennium Dome is the O2 Arena, the first purpose-built music venue in London. With a capacity of 20,000, it offers the slightly soulless Wembley Arena some serious competition and has attracted some of the world’s biggest names in rock and pop in recent years, in fact this South-East London arena has seen everyone from The Rolling Stones and AC/DC to Beyonce and Britney Spears take to its stage. The 02 Arena also hosts classical music concerts, live comedy and tons of sporting events including the Barclays ATP World Tour tennis finals. From the debacle that was New Labour's Millennium Dome, something quite special has sprung. The world-famous football stadium was first built for the British Empire Exhibition of 1924, its first turf cut by King George V. Beneath the twin towers England internationals and FA Cup Finals were played for 70 years, including the 'White Horse Final' when over 240,000 spectators squeezed their way in. In the eighties, it played host to a number of legendary rock gigs including 'Live Aid' and the Nelson Mandela birthday concert. In 2002, the stadium, always intended to be a temporary structure, was demolished. The rebuilt Wembley, completed in 2007, has replaced the towers with an incredible arch, visible from anywhere in North West London. They've retained the same steeply banked seats, almost on top of the pitch, that help create the 'Wembley roar', and once again the English team has a spiritual home. The first theatre on this site was built in 1662 on the orders of Charles II. It has been rebuilt a number of times since then, but the current auditorium, completed in 1922, incorporates many elements from as long ago as 1820. As a result, this vision in cream and gold possesses an elegance unmatched in the West End. Its broad staircases, its chandeliered salon, its statuary and panels speak of an older, more glamorous theatrical age than the weighty grandeur of much of the West End. The performance history here is the history of popular theatre in Britain. From Nell Gwynne's debut, when Charles II fell in love with the 15-year-old actress, through the great Colley Cibber, to a three decade stint by David Garrick, London's greatest stars have appeared beneath the Theatre Royal's gorgeously decorated arch. Noel Coward's 'Cavalcade' (1931), with a 250-strong chorus, brought audiences to their feet every night, before Ivor Novello took the theatre up to the Second World War with a series of shows which he scored, wrote and starred in. After the war, the Theatre Royal blazed a trail into the modern world of long-running musicals, with a series of hits including 'Oklahoma', 'South Pacific', '42nd Street' and 'Miss Saigon', which ran for 4,236 performances. 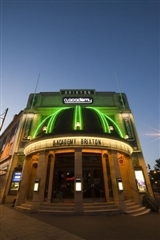 This former cinema with its art deco interior, proscenium arch and 140ft dome is London's most celebrated venue for live music, winning Best Live Venue at the NME awards at least a dozen times since 1994 . The famous sloping floor means there are great views wherever you're standing, though keeping your feet can be a problem at the more raucous rock gigs. Most of the biggest bands in the world have played here, and it also holds some of Britain's hardest club nights. Located in one of the hardest-partying areas of London, with a capacity of 4,700, excellent sound, a 6am licence, and one of the biggest dance floors in the capital, this is the only place to watch your favourite bands and DJs. Set against the historical background of Bankside this is one of the finest spaces in the world for watching theatre, and also one of the most astonishing buildings in London. Opened in 1997 - thanks to the campaigning efforts of actor Sam Wanamaker - this painstaking, piece-by-piece reconstruction of Shakespeare's Globe Theatre is located just 200 yards from the original playhouse on the banks of the river Thames. With stunning wooden timbers and a fantastic thatched roof there is little to separate it from the original. 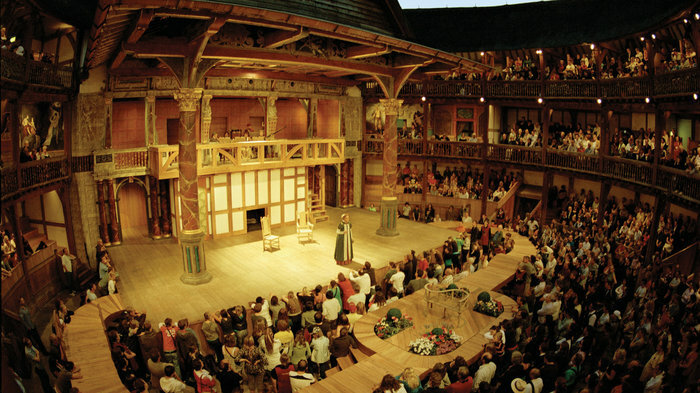 The stage and seating are outdoors and though the seats are covered, if you really want to experience the true Elizabethan theatrical experience, you can buy a ticket as a 'groundling' and watch the production standing up in the pit in front of the stage. It can get pretty tiring and you do run the risk of being rained on and bumped into by marauding actors, but experiencing the play in this way is much more authentic and really quite fun. The season runs from May to September or October each year and usually mixes Shakespearian classics with works by other Renaissance playwrights. The standard of performance is consistently high and reassuringly traditional in its approach. It is also quite astoundingly cheap. Occupying a site with a long tradition of entertaining Londoners, Sadler's Wells exists to bring the best of national and international dance, ballet, opera and music theatre to the capital. Now a strikingly modern building with flexible performance and auditorium spaces, the original Sadler's Wells opened in 1683. Six Sadler's Wells later and sleek steel and glass have replaced the crumbling brick edifice of previous centuries. Originally a music hall, the venue now boasts a resoundingly contemporary but extremely accessible programme - with an emphasis on dance and movement - supported by innovative visual arts exhibitions in its public spaces. Sadler's really came into its own when Lilian Baylis took charge in the 1920s. Since then many of the world's best dancers have performed on this Islington stage. In 1995, Matthew Bourne premiered his magnificent 'Swan Lake' here which went on to become the West End's longest running ballet. Sadler's Wells continues to have close associations with the centrally located Peacock Theatre, its home during periods of renovation, while the Lilian Baylis Theatre - now a highly regarded venue in itself - is located within the Sadler's Well Islington complex. Ranging from the cutting-edge to the mainstream, some truly landmark productions have taken place here over the years. With a screen the height of five double decker buses, a 12,000 watt digital surround sound-system, and the special multi-dimensional technology of the iMax format, the BFI Imax is, without doubt, the most technically impressive modern cinema in the country. Watching a film here is more like taking part in the action - travel from the depths of the ocean up to the far reaches of outer space via a series of spectacular 3D and 2D films. A large proportion of their 3D programme is dedicated to children's films, but by virtue of their technical brilliance many of these are just as fascinating for adults to watch. 3D documentaries and mainstream movies also add to the portfolio and the 2D films are also impressive on this, the largest screen in the UK. Even the fact that it currently acts as a kind of roundabout and can only be accessed via a series of illuminated tunnels is quite a coup. As you navigate the tunnels with their space-age blue lights on your way to the cinema you feel that the 'living cinema experience' has already begun. Don't let the kids have all the fun. Just 150 metres from King's Cross and St Pancras stations and with a waterside setting, the Dixon-Jones designed Kings Place combines the offices of The Guardian newspaper with a concert hall and two art galleries. As you'd expect from the architects behind the improvements to the Royal Opera House and National Portrait Gallery it's a well designed complex of curvaceous surfaces and appealing public spaces. The concert hall, London's first to be purpose-built since the Barbican Concert Hall in 1982, includes a stunning wood-lined 420-seat auditorium. The Kings Place Music Foundation is a registered charity which provides a platform for artists and musicians to meet and share ideas. This dynamic venue is also home to a charming waterside restaurant and a homely cafe. The highly acclaimed stand-up returns with his award-winning podcast and talks to some of the biggest names in comedy. Classical music, rock, pop and jazz, sporting events, galas, banquets and balls and the world-famous Proms series all take place within the Royal Albert Hall's iconic oval walls. One of London's most versatile venues, it is a favourite of performers from Jose Carreras to Kylie Minogue. The Hall also plays host to the Seniors' tennis circuit. The likes of Becker and McEnroe can be seen bouncing balls off the famous mushrooms on the ceiling. The brainchild of Prince Albert, inspired by the success of the Great Exhibition, the hall first opened in 1871, ten years after the Prince's death. Heavily influenced by ancient amphitheatres and notions of the 'Empire and the arts, the oval structure's terracotta walls are decorated on the outside with a frieze dedicated to "The Triumph of Arts and Sciences". Gas lighting, poor acoustics and old pipe organs have been replaced over the years and the awe-inspiring venue now exists as a testimony to both the architectural and aesthetic achievements of the past and the technological developments of the present - it now features the largest pipe organ in the British Isles. A Grade I listed building, the hall has a capacity of over 5000 and is most consistently packed out during the summer when the Promenade concerts take over. First held here in 1941 when their original venue - the Queen's Hall - was bombed, the Proms remain fantastically popular. From cheap budget places to stay to luxury 5 star hotels see our deals for hotels, including Holiday Inn London Kensington Forum from 41% off.